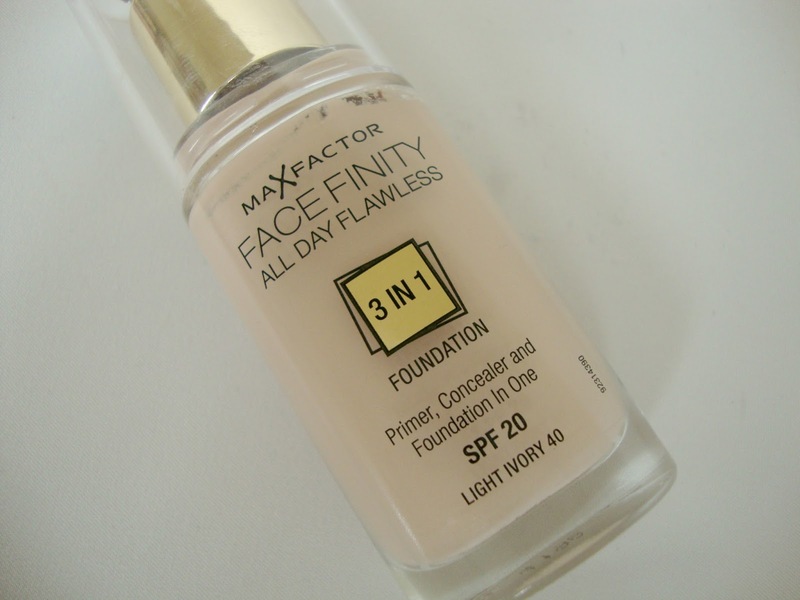 Maxfactor are the high street brand I go to again and again and their Facefinity All Day Flawless Foundation is one of my most repurchased foundations. I bought this again a couple of months ago as I was using too much of my Double Wear for work and needed a budget foundation that was just as good. 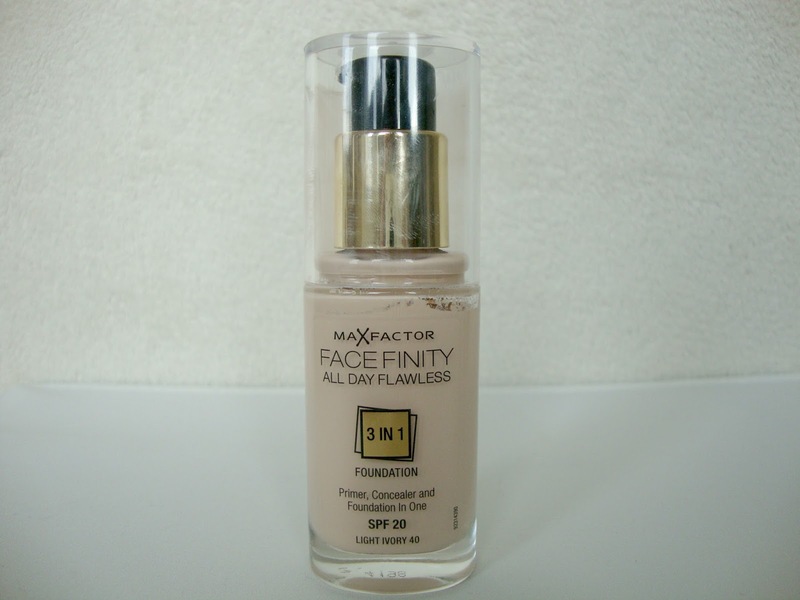 This is a 3 in 1 foundation that works as a primer, concealer and a high coverage foundation. I use the shade 40, Light Ivory which I think is the lightest shade available, it's also quite cool toned which is perfect for me. I apply Facefinity with my Real Techniques buffing brush, it's a little runny but easily dispensed as it comes with a pump. It works into the skin effortlessly leaving a beautifully, flawless finish as promised. It doesn't feel heavy and after applying at 7am it still looks just as good at 4pm. The Facefinity All Day Flawless foundation retails at £11.99 which is so reasonable considering it does the job of foundations double its price, If you're yet to try it then you're missing out. Maxfactor have the high street covered. 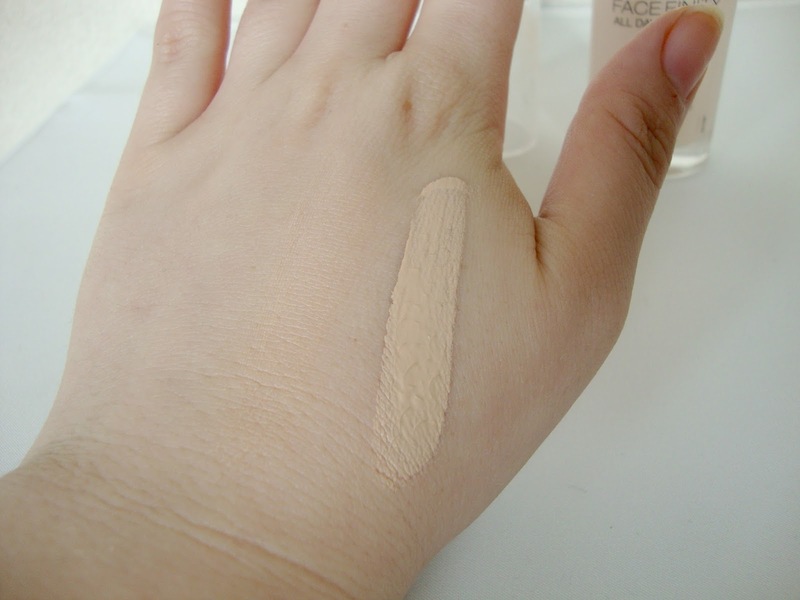 I'm in need of a new foundation so I'll definitely be swatching this in Boots to see if it matches my skin! This is one of my favourite foundations to.. really gives my skin a matte flawless look which I love. Such great value for money too.